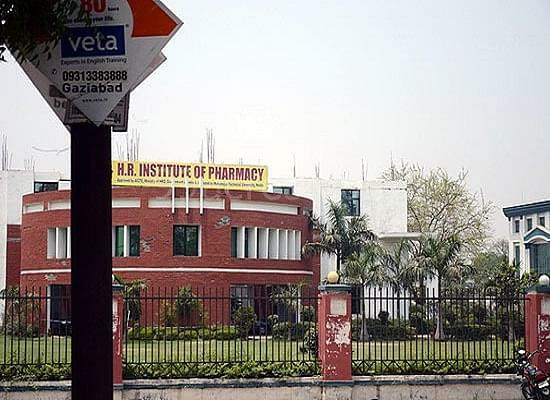 HR Institute of Pharmacy is one of the institutions of the HRIT Group of Institution. The institute was initiated by Harish Chandra Ram Kali Charitable Trust (HRCT) and was established in the year 2006. The institute was founded with the objective of imparting best education in the field of pharmacy. The college offers with 4 year program in B. Pharma with intake of 60 students and 2year program in M. Pharma with intake of 18 students. The institute is affiliated to Uttar Pradesh Technical University, Lucknow. The institute is also approved by All India Council of Technical Education (AICTE), New Delhi & the Pharmacy Council of India. 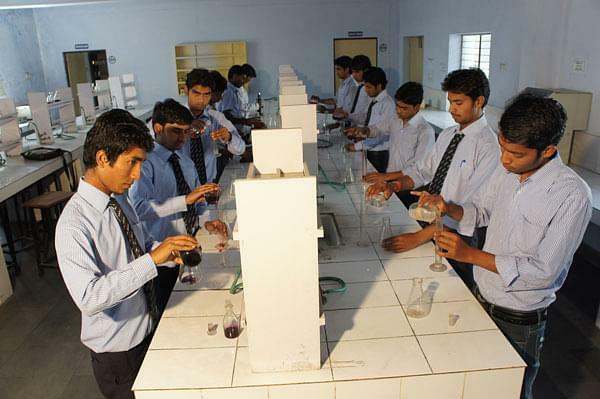 The college extensive campus is in area of about 25 acres with state of art infrastructure. The library is spacious and computerized. The library has 4512 volumes, 372 books, 16 journals related to subjects. Also reading & reference material is available in A/V format. The institute has a well equipped computer lab with HCL branded PCs with latest software’s and Internet connectivity. Why to Join HR Institute of Pharmacy? 1. Industrial Visits – The institute organizes various industrial visits for the pharmacy students. The students through these visits are exposed to several modern instruments, techniques and technology used in the industry. The students visited recently to the ASTRON PHARMACEUTICALS, MEERUT under the supervision of professors of institute. 2. Mega Job Fair – The institute organizes the job fair in the campus. In the Job Fair various national and international companies take part and also conduct recruitment practice. It is the major part for placement and recruitment activity for the students of the college. Also some student’s gets placement in repute companies through this job fair. UPSEE 2019 Exam Pattern provides details about the paper pattern which will be released by Dr. APJ Abdul Kalam Technical University on its official website. UPSEE 2019 exam will be held in April 2019 and the application form for the same will be made available in the month of February 2019. UPSEE BHMCT 2018 provides admission to Undergraduate courses in Hospitality and Management. U.P State Entrance Examination for Bachelor of Hotel Management and Catering Technology will be conducted by Dr. A P J Abdul Kalam Technical University, Uttar Pradesh, Lucknow.